Do you know how to reach audiences and move them to action? 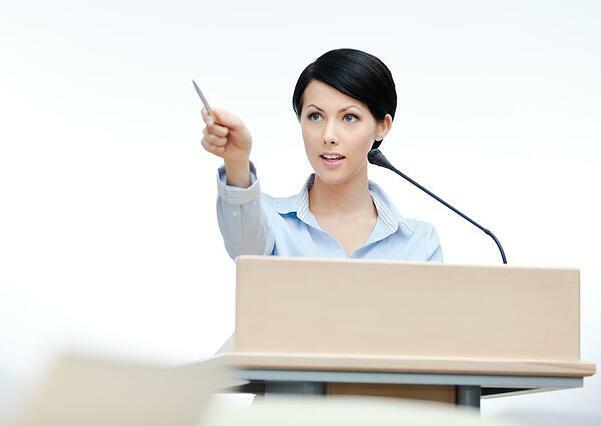 Use this powerful tool to make your presentations more memorable. Today, let's discuss an easy approach to becoming a more memorable speaker—whatever your topic and whomever you speak to. It involves getting your mind in the right place, and using a simple yet powerful tool. From that starting place, you'll be better able to drive positive change in your audience by establishing rapport and connecting with listeners. And for their part, people will enjoy listening to you more and feel that your presentation was well worth attending. My technique will also help with your stage presence and confidence. Another great way to do that is by strengthening your focus. Learn how by downloading my free cheat sheet, "10 Ways to Stay Fully Focused when Speaking." So, what's the powerful tool? 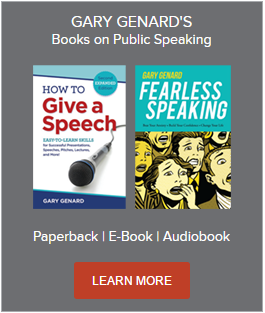 First, a tough love message for becoming a speaker who reaches and moves audiences: stop thinking about yourself. If that sounds harsh, I'll admit that I'm guilty too. We all are—it's natural to think about our performance and hope we're doing well. The more deeply-rooted problem is that we don't conceive of our talks in the right way. We make them speaker-centric. That means we present our topic in ways a speaker would talk about it, instead of how an audience needs to hear about it. I was reminded of this recently while coaching a client whose conference speech really was all about her audience. But it didn't sound that way. In her opening, for instance, she talked about how she was "on a mission" concerning providing the services she was discussing. Yes, there was a real and immediate need for those services in her industry—a glaring gap concerning customers' experience that cried out to be filled. Interestingly, what she was telling her audience of administrators was how their organizations could become leaders in doing so. But it would never sound that way if she framed that gap in terms of her personal mission. Since It's All About Your Audience, Tell Them So! What she needed, and what I coached her in, was a way to frame her argument in terms of her audience's needs not her own. More, really: she needed to perform her presentation that way as well. I call it "living in the world of your audience." Everything concerned with how you shape your material and deliver it needs to keep the audience front and center. Read over your notes or manuscript of a past presentation, or even one you have coming up. Look for all the places you can replace "I" and "me" with "you" and "we." Do you see them? Now, consider how you can frame your topic and everything about it in terms of the audience: their needs, of course, but also references, figures of speech, examples, case studies, conversations you had during breaks at the conference, etc. And think about how you can break up a long narrative with questions, rhetorical or otherwise, you pose to them directly. All of it is a reminder that everything that's happening during this speech or presentation is for their benefit. Play the music audiences want to hear—so that everything you're saying is about them. They will remember you, and how you were concerned with improving their lives. More important, they'll understand that what you shared with them, at every stage of your journey together, was intimately involved in doing just that.